CHICAGO, ILLINOIS, November 1, 2014 – In the main event of SHOWTIME BOXING: Special Edition at the UIC Pavilion, Saturday, November 1, Andrzej Fonfara found a tougher than anticipated test in Doudou Ngumbu. 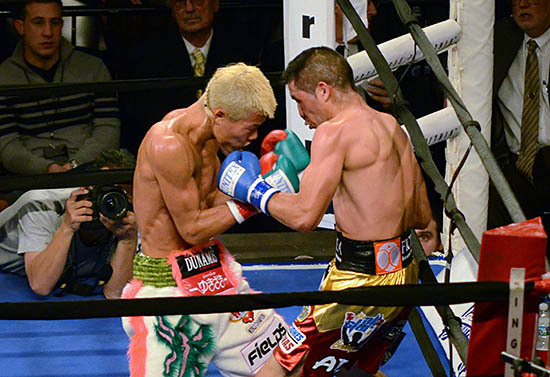 Tomoki Kameda held off challenger Alejandro Hernandez to hang onto his WBO Bantamweight World Championship title, though the aggressive Hernandez was seen by some to have done enough to take the belt. In the final televised bout, Super Featherweight Javier Fortuna scored a knockout in the fifth round after a foul-filled clash with Abner Cotto.